Louis Manzo put his name on the ballot as an independent candidate in a primary election for County Freeholder. 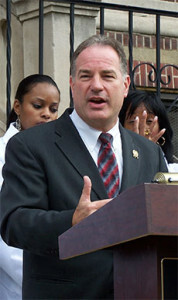 He was taking on one of the most powerful political organizations in the country – the Hudson County Democratic Party. The party never had a candidate lose in a primary election, but there was a first time for everything, and in what the local newspaper called a “stunning upset,” Louis Manzo won the primary election for Freeholder. Louis Manzo’s first bill as a Freeholder called for a moratorium on the construction of the incinerator. The legislation was voted down 8-1. The Chair of the Freeholder Board appointed him to head the Board’s environmental committee to research the matter. He then assigned the two Freeholders who were the incinerator’s staunchest supporters to Manzo’s committee. 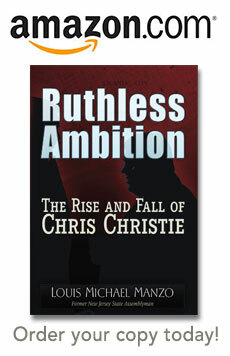 Louis M. Manzo held a series of meetings every month for two years, while the County prepared the permits for the incinerator. He even invited the proponents and builders of the incinerator to participate at each meeting. The evidence his committee collected was overwhelmingly in support of the position that Louis M. Manzo had advocated in opposing the incinerator. The committee reported to the full board with a several-hundred-page document that he had authored. The full Board of Freeholders reconsidered the original bill to kill the incinerator project, and this time it was unanimously approved. Read the full Bio of Louis E. Manzo here.